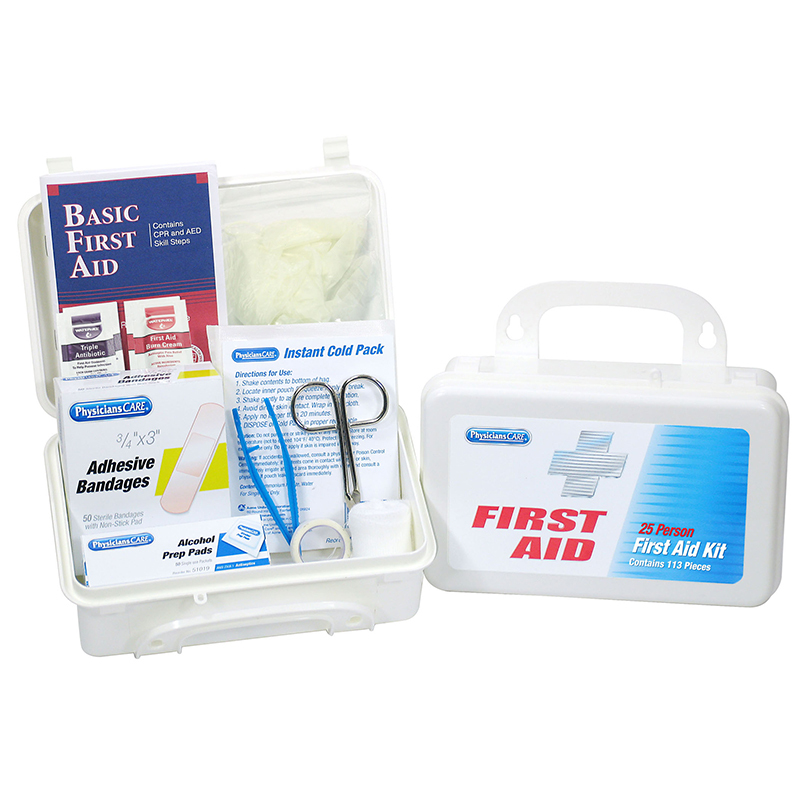 First Aid Kit is the perfect size for your home, office or car. White plastic case is dust and moisture resistant with long-lasting hinges and two latches. A handle is built-in for portability; the kit is also wall mountable. Each kit contains a variety of quality. Products to care for the following: Cuts, Scrapes and Bruises; Minor Eye Irritations; Personal Discomfort; Minor Burns. Includes a First Aid Guide. Meets or Exceeds Federal OSHA Regulation 1910.151b (may vary by state).